The Saturn's Sadesati is a 7 1/2 year long period that every person must undergo in his life. Sadesati unleashes the full impact of Saturn on you, says Vedic Astrology. The Sadesati report will give you all the dates when you will be under Sadesati or harmful Saturn transits. Its helpful guidance will present the challenges and also the possible remedies. Complete Saturn's Analysis For You An average person has Sadesati thrice in life, and faces the smaller harmful transits many times too. Often one is unaware that he is under the influence of Saturn. The Sadesati report will give you all the dates when you will be under Sadesati or harmful Saturn transits. 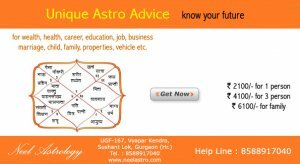 Its helpful guidance will present the challenges and also the possible remedies.